Cape Town’s deeply historical District Six is one of the most interesting, and emotionally charged areas in the city. 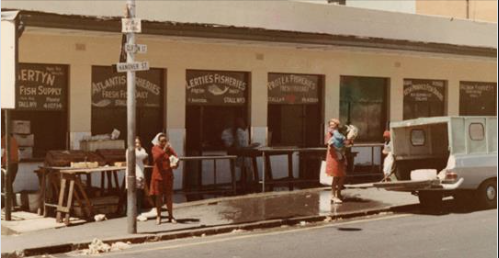 Since the forced removals in the 60s, District Six has served as something of an inspiration for creatives to draw from in their artistic endeavors. From paintings to documentaries and live stage productions, District Six has been immortalised in many creative ways. A short fiction film based on the forced removal of the residents of District Six will kick off production, but may not continue as it does not have enough funding. Producer and scriptwriter Anton Fisher, along with his non-profit organisation The Divergence Film Foundation (DFF), are trying to raise the balance of the money required to start shooting. Entitled ‘Letters to District Six’, the short fictional film will portray a close friendship between postman Joey and his friend Aziz, who owns a butchery in District Six. This bond is broken when Aziz is evicted and Joey then goes on a quest to find him and re-establish the bond of friendship they once shared while living in District Six. While the idea for the film began as a short story, Fisher came to realise literary work alone would not fully capture the experience. “There is so much richness and so many other elements to the District Six experience that a short story would not do justice to the people and memory of District Six,” he says. In preparation for the project, the production team has worked very closely with the District Six Museum. “They have been a great help,” says Fisher. They also met with a group of former residents last November and they gave their full backing to the project. “These residents were also very helpful, and they just love to talk about their experiences and events that took place there. That was great as it helped to inform the bigger picture of District Six,” Fisher adds. Despite having to downscale from a full-length feature to a short film, the production team is still experiencing financial woes. “Financially, we are really struggling. The National Film and Video Foundation only allocated R150 000 for the short film. But we need much more than that, which is why we are running this fund-raising campaign,” Fisher says. The film will be shot in Cape Town in mid-2019, using talent and crew sourced from Cape Town. The cast for the film has not yet been chosen as the lack of funding does not allow them to start auditions. However, the producers would like to involve former residents or their descendants in various aspects of the production. It will be directed by Nadine Cloete, who directed the acclaimed documentary on the late freedom fighter Ashley Kriel. The team hopes ‘Letters to District Six’ will be ready for screening by the end of 2019. Fisher is appealing to people to help by donating generously to the Divergence Film Foundation non-profit company. They have an account which will be closely monitored by two respected lawyers, Ebie Mohamed and Willie Hofmeyr. Donors can send a proof of payment email to [email protected]. Fisher adds that all donors will be listed in the credits of the film. Donors may also request audited financial statements for this project.